As anyone with a toddler in daycare will tell you, a simple runny nose can last weeks. A slight fever can persist even in a child who appears well. And stools can remain soft and loose long after the vomiting and food refusal of an episode of acute gastroenteritis has passed. While no one wants to send a sick child to school, the reality of modern working life dictates that parents miss as few days as possible of work when their children are ill. Beyond following the guidelines of your daycare or school, when is a child okay to return to their learning environment? Here are some simple tips to consider when deciding when returning to daycare is appropriate. 1. For the child who has had vomiting and diarrhea with or without fever, consider returning to school once the child no longer has a fever, is eating and drinking normally, is pain free and not stooling more than once or twice a day. The stools do not need to be completely back to normal, but they do need to be easily managed by a busy daycare staff. For a toilet trained child, consider returning after they can easily manage their urinary and bowel habits. 2. 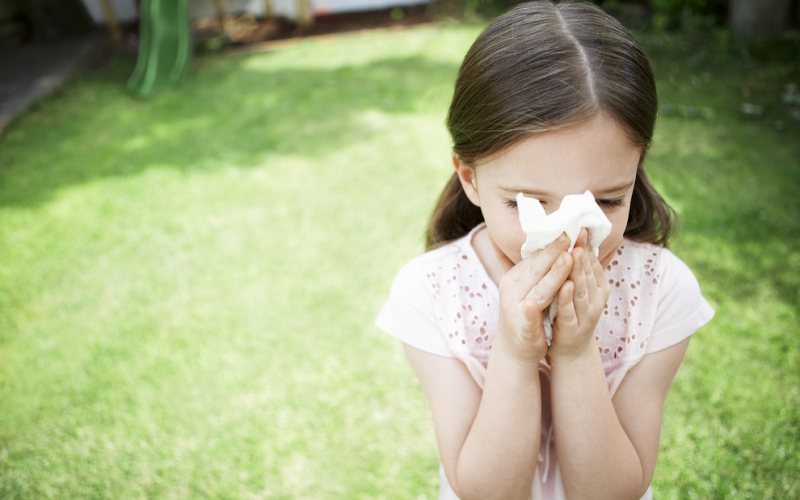 For the child with the endless runny nose, consider returning to school once they no longer have a fever and after the sneezing and constant mucus has slowed down. For most toddlers, this is 2-4 days into an illness but can be longer. Since viruses are easily spread by touching surfaces that have come in contact with saliva or mucus, these runny noses are very contagious. 3. For the child with a fever but few or no symptoms, consider returning after the fever has been gone for 24 hours and after the child is feeling back to normal. It is fine to treat a fever with acetaminophen or ibuprophen but not fine to do so and then send the child to school. 4. For the child with a rash who is otherwise well, consider sending them back after a visit with their doctor. Rashes can be tricky, so seeing their doctor will help you determine if the rash is contagious and how to treat it most effectively. A child with a fever and a rash together should always been seen by a doctor before returning to school as the combination can indicate a more significant infection. 5. For the child who awakens with a red eye, return to school after clearance by their pediatrician. Red eyes indicate conjunctivitis, which comes in both a contagious and not contagious (allergic) variety. Your doctor can help you determine which type of red eye is present and if medication is needed. As a side note, a painful red eye should always be evaluated as it can indicate trauma or a foreign body in the eye. 6. For the child with a cough, return to school should be delayed until the child is able to sleep comfortably throughout the night, until medications such as nebulizers are no longer necessary, and until the child is active and playful. Coughs tend to linger, making them some of the most frustrating illnesses in terms of missed school days. Teaching a child to cough into the crook of their elbow and to frequently wash their hands can help decrease transmission of common viruses. 7. For the child who has just had their vaccinations, returning to school the same day is fine. Inform the school that the child had their shots so they will call you in the event of a side effect. 8. For the child who is under or un-immunized, return to school after your pediatrician has cleared them of being contagious. If your child has been exposed to a vaccine-preventable illness such as chicken pox, let your doctor know so you can be informed of the window of time between exposure and potential illness. Children with illnesses can return to school depending on the illnesses they had. Toddlers with fevers, vomiting, and diarrhea may return to school later than children who may have had a cough or been recently vaccinated. Some illnesses require a child be cleared by a pediatrician before returning to daycare or school. Centers for Disease Control and Prevention. CDC Recommendations for the Amount of Time Persons with Influenza-like Illness Should be Way from Others.